On this page you will find projects from our affiliated foundations and initiatives from Stray-AFP. In Holland we don’t have free roaming dogs. But we have stray cats. 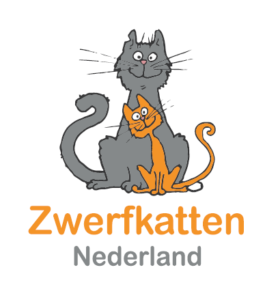 To make the Netherlands stray cat poor without killing them we started the Dutch stray cats project. April 4 is the day to give special attention to the 600.000.000 stray animals in the world. Dogs and cats should have a home. But stray dogs and stray cats don’t. They lead poor and miserable lives on the streets. They are often illfed, suffer from extreme heat or cold, and suffer from diseases. Even more often, they’re being chased around by hostile and violent people. But we, as people who care about animals, can do something. April 4 is the day to show compassion, take care, and get into take action for stray animals all over our planet. Help us spread the word. Tell, tweet, link, recommend, post, blog, like and share our cause with all your friends. Show the world you care.We encourage people all over the world to organize local charity, educational, and fundraising events on April 4. Each time when big international sporting events are organized in countries with big stray animal populations massive killings of these strays are the horrible reality. Killing of stray animals doesn’t solve the stray animal overpopulation problem and is unnecessary and cruel. There are other solutions that are more humane and work better in the long-term. The International Stray Animal Team (ISAT) wants to make clear to all countries that are preparing for international sporting events and involved sports associations that humane solutions for the stray animal problem are a MUST. Our first step will be recognition for the problem and recognition for the fact that humane solutions are the only option.